I so enjoyed having the day off yesterday. I'm still working on my quilted table runner, and I spent the day with my mom getting it done! Of course I'm feeling sleepy and overall not ready to tackle work today. I get so spoiled when I have a day off! I must have snoozed my alarm like 5 times this morning. Are you a snoozer? 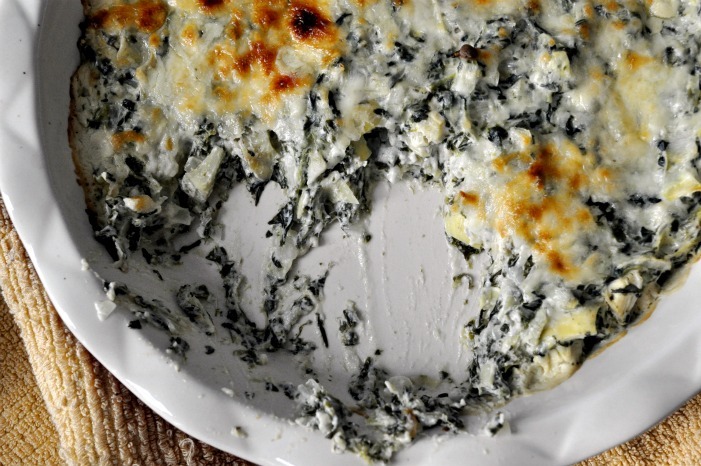 There are like...1 billion spinach and artichoke dip recipes out there. Seriously, I've counted. I came across a Martha Stewart recipe a while back and had saved it in my recipe binder. When we were at a loss as to what to make for this past football Sunday, I pulled out the binder, came across this recipe and decided to give it a go. I'm sooooo happy I did. I made a few changes and added artichokes. I think it adds a little more texture and flavor. Artichokes rule! Preheat oven to 425 degrees. In a large saucepan, heat the oil over medium heat and sautee the onions until soft, about 5 minutes. Add the garlic and sautee 1 minute more. Mix in the spinach & artichokes and heat through. Transfer to a bowl and set aside. Meanwhile, add milk to the saucepan and warm over low heat (don't boil). Whisk in the cream cheese. Mix the spinach mixture back into the milk mixture. Add 1/2 C mozzarella, Worcestershire, Red Hot, salt and pepper. Mix well and pour into a baking dish lightly greased with cooking spray (I used a pie plate). Top with 1/2 C mozzarella cheese and bake for 20 minutes until lightly browned and bubbly. Serve with tortilla chips, crackers, baguette slices, pita chips or your left arm. This dip is delicious on anything! So there you have it. 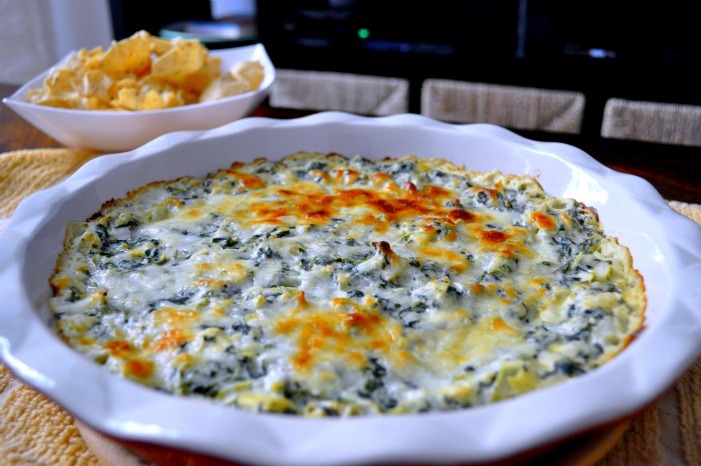 An easy and delicious dip, perfect for football Sunday or any day! Do you have a go to dip recipe? Are you a snoozer in the morning?